Ensure all your followers are real, active people. 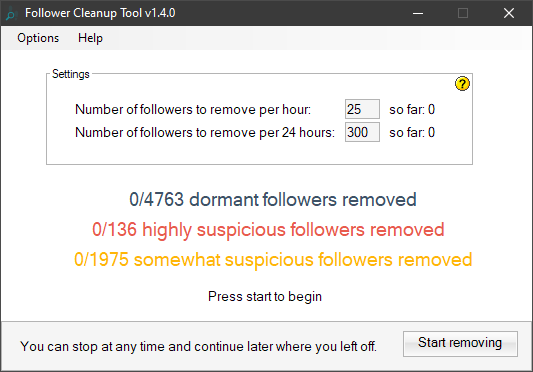 After performing an audit on your account, you can use our cleanup tool to remove all your followers who have been flagged as fake or dormant. 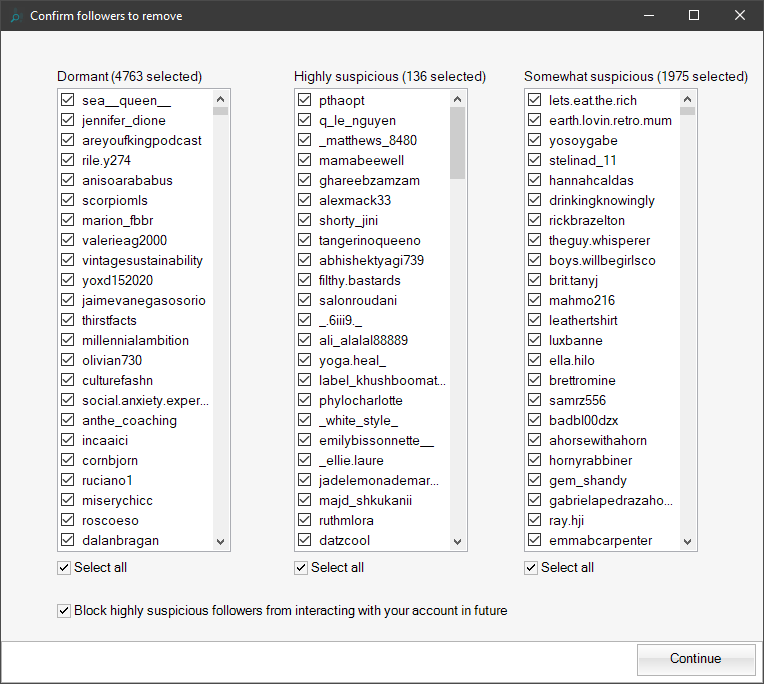 You can also import your own custom list of followers to remove. As an extra layer of safety, you can optionally choose who to remove and who to keep. The cleanup tool runs silently in the background and does not need any interaction. Just let it do its thing and soon you will have zero dormant or fake followers. This tool is currently only available as a Windows desktop software. Non-Windows users can contact us for further options. Here you can see a screenshot of the tool in action. Audits are not included and must be purchased separately. If you have any questions, or would like to discuss custom pricing, please contact us anytime! Copyright © Social Audit Pro Website | Social Audit Pro is not affiliated with Instagram or Twitter in any way.